There is so much to learn when it comes to veganism, so it’s handy that there are countless resources available to us. You can find a lot of useful information online, but nothing truly beats diving into a good book, right? Even if you’ve been vegan for 10+ years, or if you wish to go vegan someday, or even if you have no interest in ever becoming vegan… Make sure you add these page-turners to your book wish-list! 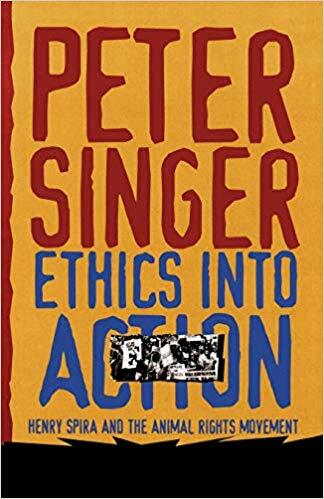 Peter Singer is an Australian philosopher, who specialises in applied ethics. His book tells the story of how Henry Spira turned Singer’s ethical lessons into action. Hearing about Henry’s amazing work on behalf of animals, will surely inspire any vegan, or animal lover. If you are interested in animal liberation, this is the book for you. Tobias Leenaert is a speaker, trainer, and strategist. He also co-founded EVA (Ethical Vegetarian Alternative). He states that this book is “the result of my experience and thinking about the issues during almost twenty years of vegan advocacy and campaigning.” Tobias has so much practical, realistic advice crammed into the pages of this masterpiece; it’s a must-read for those who really want to get into effective animal advocacy. Effective altruism is a philosophy and social movement. It aims to teach individuals how to help others in the most effective way that they can. The idea of effective altruism has really captured new generations in recent years. So many of us are looking for ways to help others in the best way that we can, but sometimes it’s hard to know where to start - that’s where this book comes in. 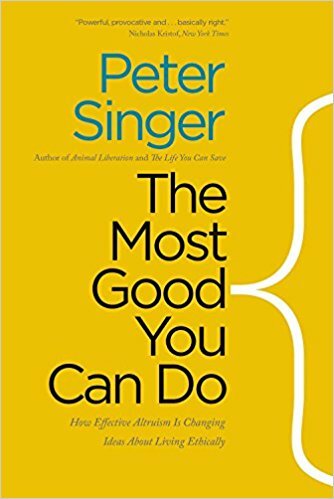 Singer also suggests that living altruistically can give us a better sense of personal fulfilment, as opposed to just living ‘for yourself’. “The why, the how, and everything you need to make going vegan easy.” This book is a super practical, easy read that will be your guide and best friend when going vegan. Veganuary make sure to include tips on eating out, meal plans, recipes, and more. This book will certainly make the vegan lifestyle easier than you think. Michael Greger is a lecturer, physician, and founder of NutritionFacts.org. 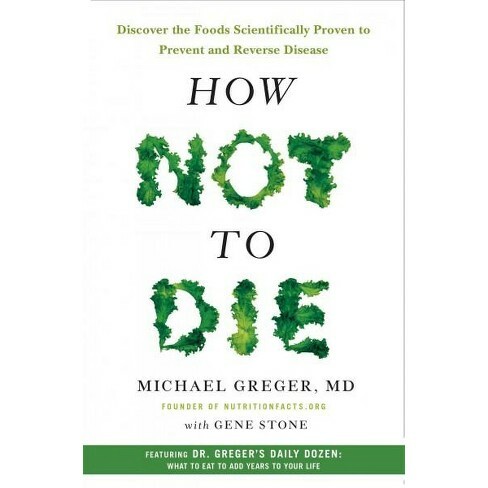 In his book he quotes, “The foods we choose make a difference.” Just as the title suggests, this book is literally a hugely informative, scientifically-proven guide on how not to die, and how to avoid disease. If you’re interested in any aspect of health, this book will be a truly eye-opening read. Melanie Joy is the social psychologist who coined the term ‘carnism’. 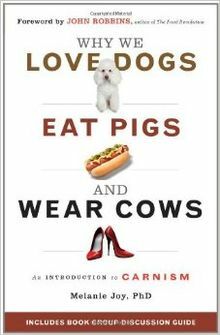 “Carnism is the invisible belief system, or ideology, that conditions people to eat certain animals”, and it is literally the reason that we ‘love dogs, eat pigs and wear cows’. Melanie believes that you cannot be ethical whilst consuming any animal products. Regardless of whether you agree with her beliefs, this book is an intriguing read (and it may even change your mind). Thomas Colin Campbell is an American biochemist who specialises in the effect of nutrition on long-term health. 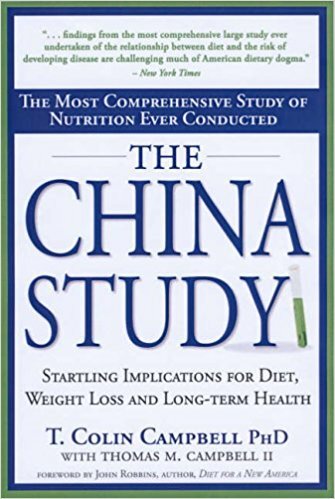 In this book, he makes connections between nutrition and disease (particularly cancer, diabetes, and heart disease). There is so much scientific proof, coming from his own research, that it’s difficult not to agree with all the points that he makes. This is another book to add to your read list if you’re interested in health, and how to avoid long-term illness. Virginia Messina is a dietitian, who writes and speaks about vegetarian and vegan diets. This book is yet another practical guide to going vegan, and proves to older generations that it is never truly too late to make the change. Jacy Reese is the Research Director and Co-Founder of Sentience Institute. His book offers a glimpse at a plant-based future, and makes it seem possible. Jacy Reese believes that factory farming is one of the biggest problems in the modern age, and he also believes that we can put a stop to it. Our line-up includes a whole bunch of plant-powered pioneers, have a look for yourself here. Come and join them, and many more amazing folk at Vevolution Festival next month. Vevolution Festival 2018 is taking place at the British Film Institute (BFI) on London’s Southbank on the 10th of November.